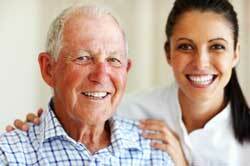 Why choose NewLeaf Home Medical for your home care and medical supplies products and equipment? With over a decade of commitment to excellent service to our customers, you can trust NewLeaf Home Medical to provide you with the care you need. NewLeaf Home Medical provides lower prices on the same brand name medical supplies, hospital beds, and durable medical equipment that hospitals and clinics use. We offer free ground shipping within the contiguous USA on all orders over $99, even for oversized freight items like hospital beds, recliners, and scooters. Please call us at 888.739.4330 for custom pricing for orders shipping to Alaska and Hawaii. NewLeaf Home Medical does not ship to U.S. territories or internationally. We save you time and money through our long-standing relationships with manufacturers. Most orders ship to you directly from manufacturers' warehouses with no middle man.